Technology is, first of all, something that creates solutions. Cloud computing is an obvious case study: it's changed the world as we know it, for the better, in more ways than we could name here. There are plenty of helpful personal uses, but the benefits for commerce, business, manufacturing, health care, supply chains, infrastructure management, and governance are even more compelling. The cloud offers a way for even the largest of enterprises to keep its bureaucracies ordered and the most diverse businesses agile and accessible. 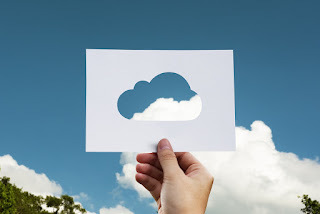 But there are many other benefits of cloud computing too, and they come at a pivotal moment in the development of greener businesses and more forward-thinking climate policy. Cloud computing can be a very good thing for the environment — indeed, it already has been — but it's a resource-intensive endeavor in its own right. That means cloud computing and data storage technologies can only be as impactful as they are well-managed and thoughtfully designed. Here's a look at the bigger picture when it comes to the cloud and the environment. The expansion of the industrial world has exerted more than its share of influence on the natural environment. Cloud computing by its very nature does away with a lot of the material waste we associate with companies and organizations. Think of our soon-to-be-extinct and hugely wasteful paper-based recordkeeping. Then there are the millions of gallons of gasoline saved thanks to telecommuters. The cloud helps us keep us in touch and keep ourselves organized. • Fewer cars are driven and planes are flown to meetings and conferences, thanks to virtual meeting and telepresence software. • Less time and money wasted faxing or mailing contracts, blueprints, bids and other documents. • Customer and client service quality has benefited tremendously from more accessible cloud-based communication mediums. Many partners and vendors, including in finance, health care, and real estate, use cloud platforms to exchange and sign documents speedily and securely, in many cases reducing the time and resources required to complete deals and acquisitions. • In most cases, hybrid and traditional offsite data centers can take on the work previously performed by multiple always-on company computers, saving money on climate control, electricity and even physical space. The Smart 2020 campaign by The Climate Group predicts that in the next five years, thanks to the benefits listed above and a few others, companies will collectively realize some $946.5 billion in total cost savings. These savings will come from less waste generally and, more specifically, from automation facilitated by cloud technologies. Cloud-based enterprise resource management systems, for example, allow organizations of all kinds to "set and forget" lots of their operational tasks while doubling-down on human capital and effort in other mission-critical areas, such as R&D, community involvement, and more. The rise in popularity of cloud computing, in all its forms, looks like it's going to help curb industrialization's harmful impact on the natural world. Like we mentioned, paperwork is just one part of the battle. Cloud computing will keep helping us bring order to human institutions, but it's also going to help us get a handle on resource consumption even as we work to meet the needs of the world's 7 billion inhabitants and the 9.7 billion who'll call it home by 2050. 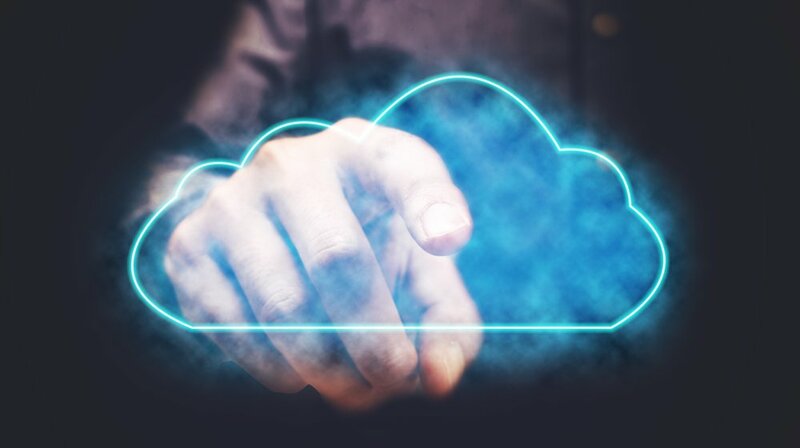 To realize the business and environmental benefits of cloud computing, we've had to revisit some of the earlier technologies that made it all possible. And before it's done, we'll likely have to revisit several more. Microsoft and its partners estimate that IT services, in general, represent an annual electricity expense of 70 billion kilowatt-hours (kWh), or roughly what it would take to power six million homes in the same span of time. The servers that host and then transmit personal and business data use a lot of energy, but there are regular advancements which make their consumption of electricity an easier pill to swallow. Flexible hybrid clouds only activate the storage required for any given task, rather than keeping platters spinning 24/7 in the off-chance you'll need them. Cloud technology, in addition to helping us use the earth's resources more effectively, has had a direct impact on human health, too. Electronic health records, once merely a good idea and now federal law in the U.S. and elsewhere, provide mobility for a growing nation's millions of patient health records. Here and elsewhere, we see that the timely arrival and accuracy of data, whether it's for treating patients, doing business, or studying climate patterns across the globe, has become vital to the turning of our world, and it's all thanks to the cloud.